One of the most distinctive disciplines of the custom car hobby is the segment related to the Tuner, Import and Modern Modified formats. 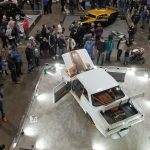 A relatively recent addition to the collector car fraternity, these hobbyists and competitors have found a home at the Motorama Custom Car & Motorsports Expo. 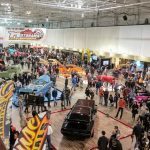 For the fourth consecutive year, Spring Fever: Modified Cars & Culture will showcase the best of the Tuner and Import lifestyle in Hall 4 of Toronto’s International Centre. The show takes place March 8, 9 & 10. Another attraction this year will be a demonstration of ‘vehicle wrapping;’ the modern alternative to a custom paint job. SF4 will again feature more than 80 vehicles in the 30,000 square foot Hall 4. With the ever-increasing popularity of the show, spots are filling rapidly, and Hill must be choosey when accepting applications. 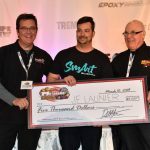 Spring Fever will once again be presenting a host of ‘best of…’ awards, rewarding quality workmanship, overall presentation and the uniqueness of each vehicle, with special consideration given to fit, function, flow and sense of balance. 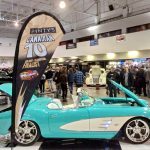 Noting the difference between Tuner cars, which are performance-oriented vehicles, and the Modifieds that combine both ‘show and go,’ Hill offers that Motorama show visitors will be treated to a wide assortment of incredible vehicles.